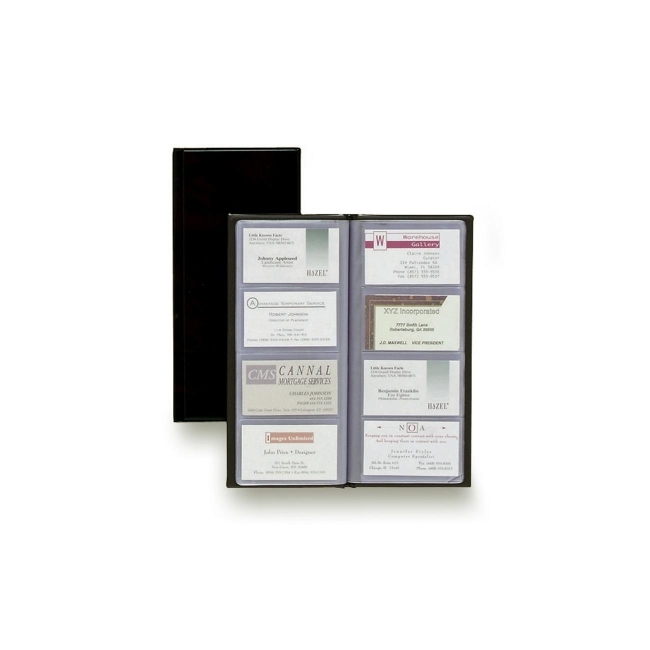 Business card organizing system offers a portable format. Features a stitched vinyl cover with metal-tipped corners. Designed to keep 96 business cards organized, protected and easily accessible in 12 pages of transparent card sleeves. Includes 12 A-Z index tabs.